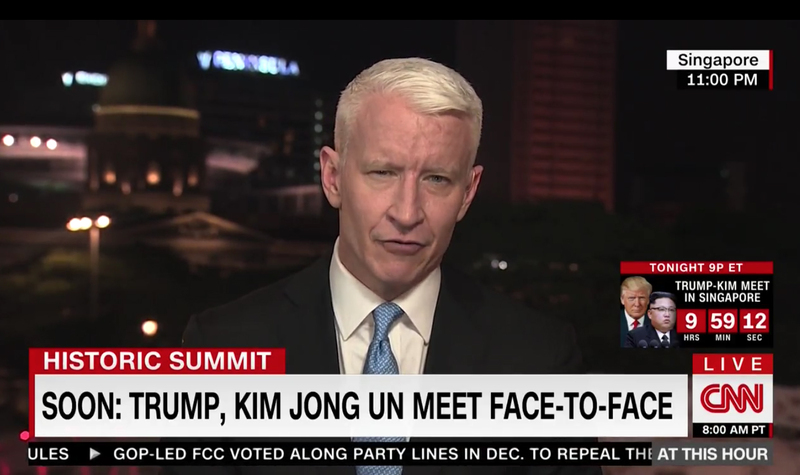 American cable networks are counting down to the historic summit between Donald Trump and Kim Jong Un in Singapore — with one notable exception. 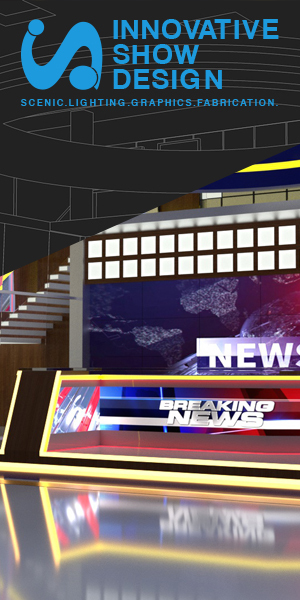 Fox News run a countdown bug for much of Monday morning, as was CNN. 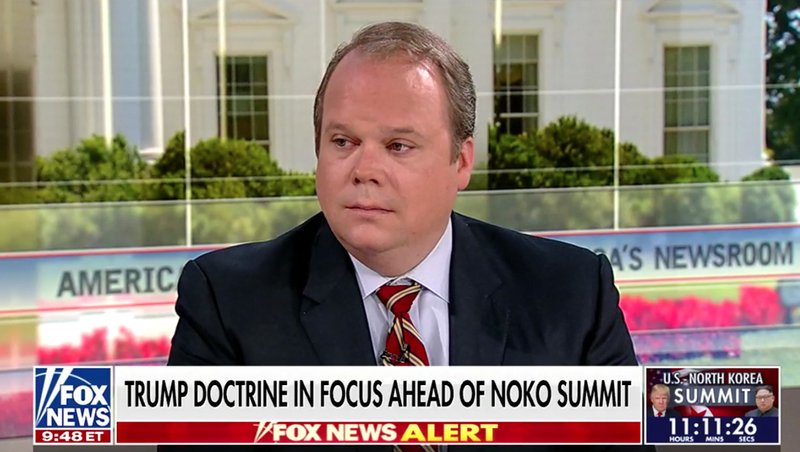 MSNBC, however, opted to use a similarly-shaped and -placed promo on screen during its coverage, but without the actual countdown, as of 11 a.m. eastern. 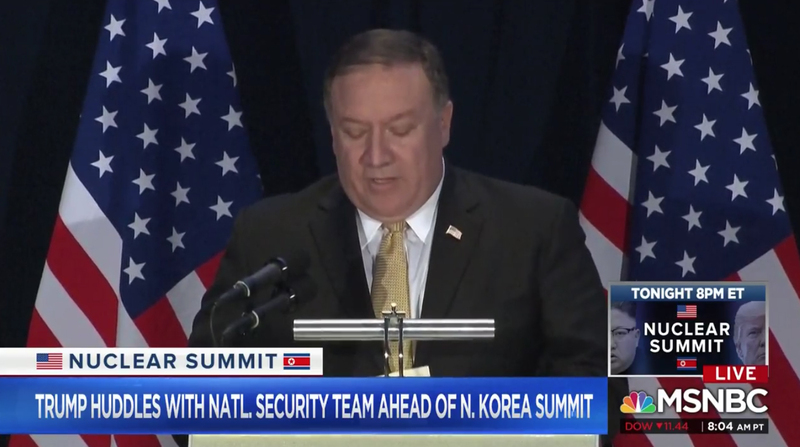 In place of the numbers, MSNBC simply used NBC’s “Nuclear Summit” branding along with a “Tonight 8 p.m. ET” banner.